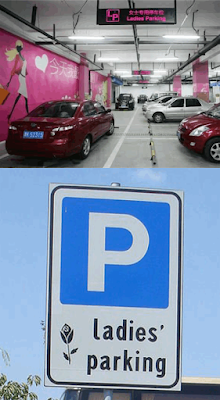 Automated Parking Systems: Pink Parking Spaces - Is it sexism, or not? Pink Parking Spaces - Is it sexism, or not? A growing trend is largely flying under the news radar: the designating of premium parking spaces "Women Only" and often coloring them pink. Not only in Europe, but also in countries like South Korea, China, etc. "Pink parking" has gotten little media attention. The question is whether these measures are putting women's safety first or are examples of sexism at its worst. Having an emergency alarm nearby. 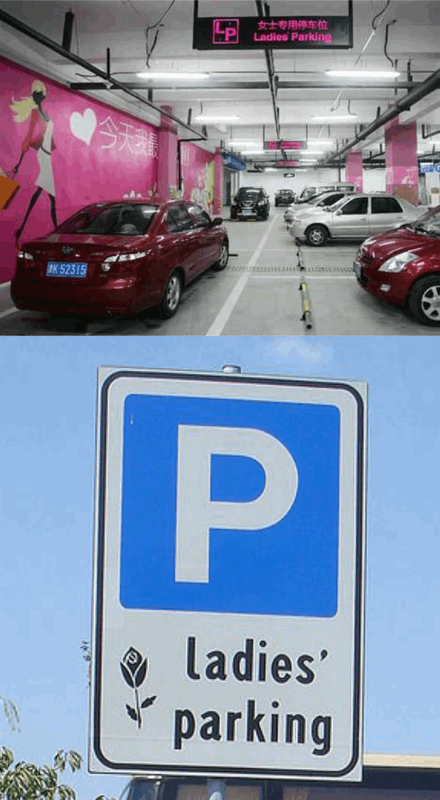 On the other hand, pink parking spaces are required to be wider and deeper in some locations. Is that because women are poorer parkers and need more room? South Korea disclaims its pink parking is sexist but acknowledges they created pink parking spaces to make city parking and wearing high heels easier for women. There's another solution for women-only parking: automated parking systems or APS. APS provide the ultimate in parking safety, security and ease for women, men and the disabled without the wasted space caused by specially designated parking spaces. In an APS, drivers and passengers of all sexes exit cars in very spacious and well-lighted entry lobbies perfectly suited for high heels and all types of footwear. There is even ample room for the largest handle wheelchair lifts. APS eliminate the need to walk through dim, scary car parking areas making them inherently safer than conventional car parks. Furthermore, APS eliminate the common car park dings, dents and scratchs because all car parking is done by an automatic robotic valet parking system.